Housing many of Porto’s major landmarks, the stunning historic center is a UNESCO World Heritage Site. 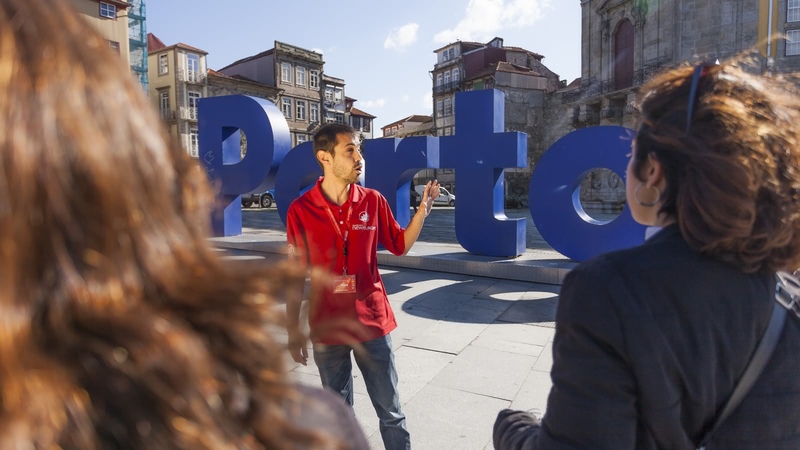 On this 3-hour walking tour, your local expert guide will help you to tick off many of Porto’s must-see sites, such as the iconic Dom Luis bridge and the world-famous Lello bookstore, and you will also enjoy some truly stunning panoramic views. 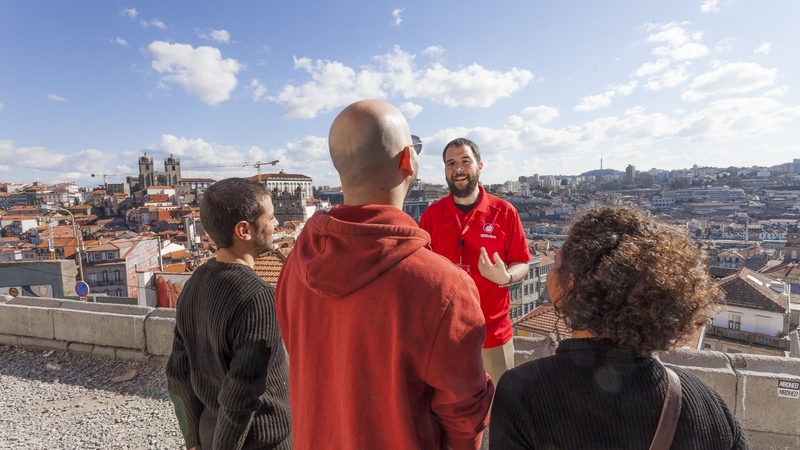 Your Porto FREE Tour meets every day at the Bishop António Ferreira Gomes, opposite Clérigos Tower. You’ll be amazed by the stunning Porto city center, and won’t be at all surprised to learn of its status as a UNESCO World Heritage site. 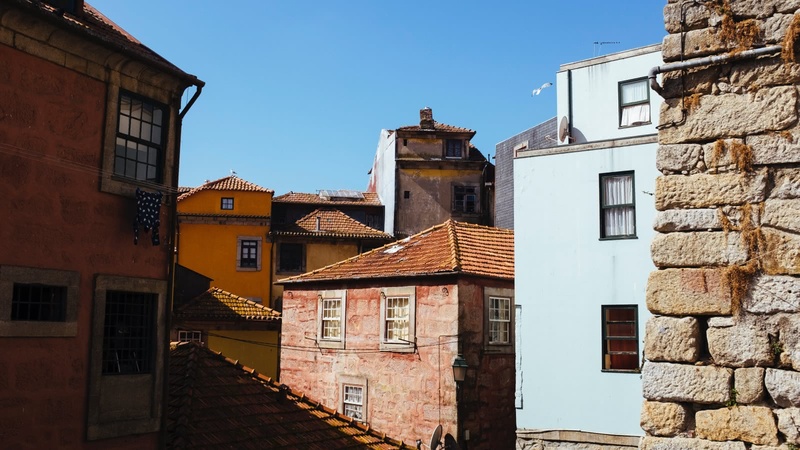 Starting at the iconic Clérigos Church with its 75.6 meter tower, you’ll want to keep your cameras at the ready as your expert local guide leads you past the beloved Porto Cathedral, the amazing tiles of the renowned São Bento station, and past the 14th century city walls. 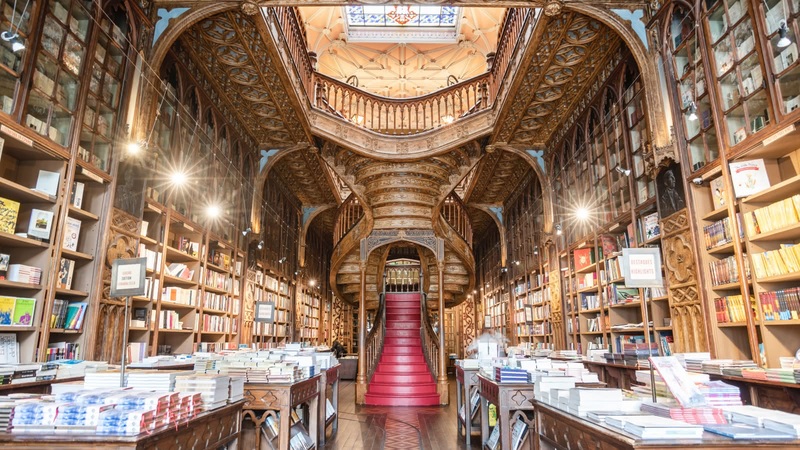 You’ll even get a chance to see the world-famous Lello bookstore and hear how its connection to Harry Potter has made it one of the most popular bookstores on the planet today. 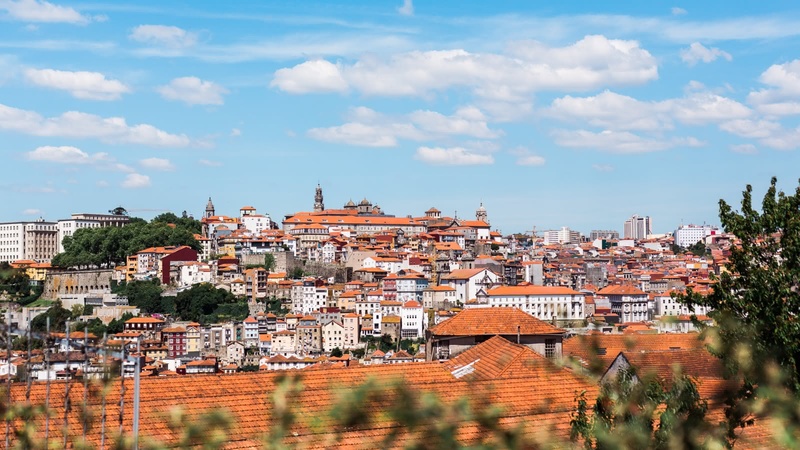 As you make your way through the twisting ancient streets and out of the city center, you’ll be faced with amazing panoramic views, and will encounter the impressive Douro River. Not only does the river host the iconic Dom Luís I bridge (built by Eiffel’s protégé Seyrig), it’s also the home to Porto’s famed Port wine industry. Photograph Porto's iconic blue tiles, or "azulejos"
Diogo was an absolutely spectacular tour guide. He was knowledgable, hilarious & fun. 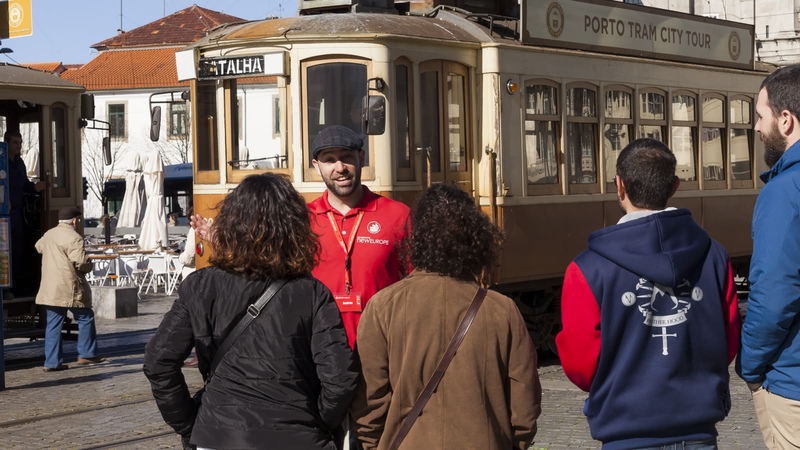 He did a great job of mixing in the historical significance of Porto with absolutely wonderful local suggestions for food, drink and leisure. I’ve done many free walking tours (Berlin, Amsterdam, Paris, Florence, etc.) and Diogo was one of the best guides I’ve had so far. We were completely enamoured with him, his sense of humour and passion for what he does. DEFINTELY RECOMMEND a tour with Diogo. Absolutely fabulous. We did the free walking tour of Porto on the recommendation of a friend and we are so glad we did. Our guide Diogo was brilliant, he kept it fun and interesting even in the blistering heat giving us a local history. It was so good I was able to explain most of what we saw after the tour finished. I went on the 11am free walking tour (English) with João who was a brilliant guide. The tour included an overview of the history of Porto, told with just the right balance of humour and factual information. We stopped at all the main sites, with plenty of time to take photographs and ask questions. Highly recommend for anyone who wishes to learn more about the history of Porto and it's people. Muito obrigada, João! We took the walking tour with Lucy and it was awesome. 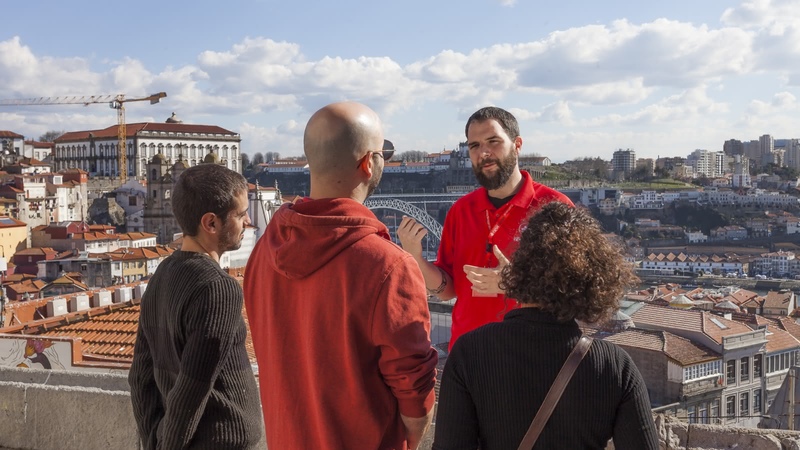 We take free walking tours in every city we visit to get an overview of the city. Lucy's tour was fun, informative, entertaining and interesting. She gave a great tour and we had a blast. If you want to learn and be excited about the city of Porto go with Lucy! 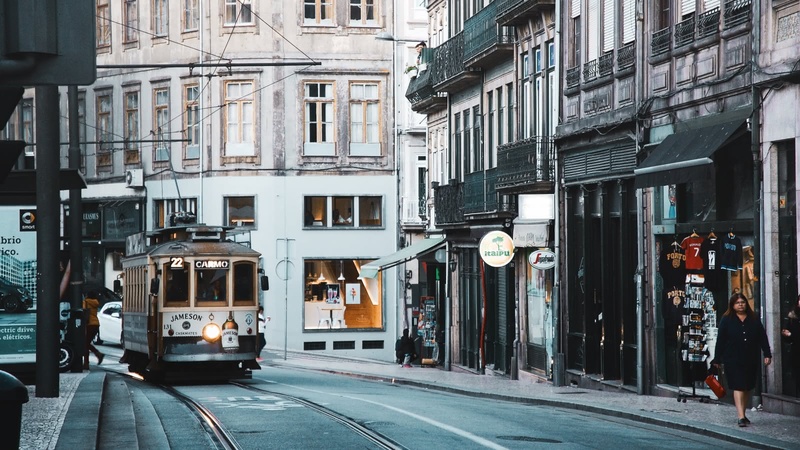 The best way to see what Porto has to offer. We had Adriano as our tour guide and it was great having someone so enthusiastic and knowledgable (even offering recommendations of places to eat to anyone who wanted them after). 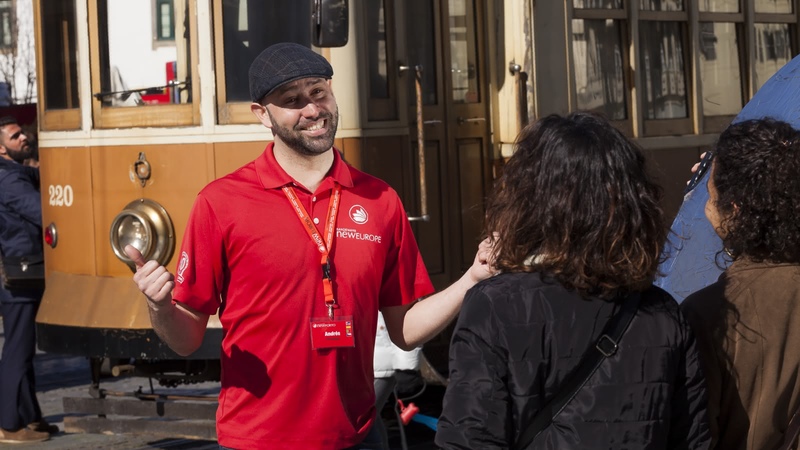 We believe in supporting local communities and are committed to giving a voice to some of Porto's best local freelance tour guides, who passionately share the city's history and culture with their own unique and always-entertaining style.